(MENAFN – Times of Oman) Nearly 2,000 children from about 110 schools from the capital region gathered at the Indian School, Al Ghubra to participate in the eighth edition of Serve And Inspire (SAI) Group and Times of Oman’s ‘Spreading the Light Through Human Values’, open essay writing and poster making competition on human values. Aisha Ahmed Suweidan Al Blushi, director general, Directorate General of Private Schools, Ministry of Education, Sultanate of Oman inaugurated the open essay writing and poster making competition which had multiple themes on human values. The event, which was first held in 2003, is being held in three phases. The event was attended by senior officials from the Ministry of Education, principals, teachers and guests from corporate houses. Other senior officials who graced the occasion from the Ministry of Education included Abdul Aziz Al Rawahy, Director-Licensing, Fawza Lashko, Director, Special Education, Michele Thoghdha, Chief Supervisor, Siddiqa Al Lawati, Dy Director, International Schools, Batool Al Lawati, Dept of Special Education and Masooma Al Lawati, Head of Supervision, Govt Schools, Rayees Ahmed, President, ISG School Management Committee, Papri Ghosh, Principal, ISG and many other dignitaries were present for the inaugural function. Speaking on the occasion, Aisha Ahmed Suweidan Al Blushi said, “The Serve and Inspire Group has been relentless in its efforts to ensure that they spread the message of human values.” She said the event which is no longer a competition but an experience, has come a long way. “Integrating the government school and getting them to participate is a milestone of sorts,” she added. Phase I was conducted on Thursday at Indian School, Al Ghubra in which students from Omani Arabic, Bilingual, International and Special education institutions in the Capital Region participated. Phase II will be held on April 22 at Indian School, Salalah for the schools in Dhofar Region and at Indian School, Nizwa for the International Schools in Nizwa. Phase III is slated for April 29 at Indian School, Sohar for the schools in Batinah, Buraimi and Dhahira regions and simultaneously at ‘The Training Centre’, MoE, Nizwa for the schools in Dakhiliyah region. Going by the encouraging response from the schools in the interior regions, it is expected that the enrollment from the schools in Batinah, Dhofar and Dakhliyah regions will cross 1,000 mark from 100 schools. The topics for both poster making and essay writing are common ‘Health is Wealth’ for ages 6 to 9 (Group A), ‘Respect to Teachers’ for ages 9 to 12 years (Group B), ‘Save Money; Serve Many’ for ages 12 to 15 (Group C) and ‘Life is a Challenge; Meet it’ for ages 15 to 18 (Group D). Participants are given 90 minutes for essay writing and 120 minutes for poster making. This year being the 40th Year of Renaissance, as a mark of dedication and support to this glorious nation, SAI Group has marked the competition as a National Event and extended coverage to new regions such as South Batinah, Buraimi and Dhahira. Additionally, towards active participation in the 40th National Day celebrations, SAI Group has been granted approval by MoE to conduct 40 workshops for teachers at various bilingual schools on Human Values. Starting from May, 2010 and running upto March, 2011, interesting modules on teaching of human values using different techniques will be deliberated upon and interspersed with interactive sessions on topics of values, citizenship education and water education. It is significant to note that this year’s competition on human values by SAI Group working hand in hand with MoE and Oman National Commission for Education, Culture and Science is a step towards extending its support to Unesco’s initiative, ‘International Decade (2000-2010) for a Culture of Peace and Non-Violence for the Children of the World’ towards imparting basic values in their lives. Entries for the competition will be judged for creativity, content, technique and efficacy of conveying Human Values by a panel of two judges, one drawn from the community/MOE and one from the organising body, in each of the category and age group. First, second and third prizes will be awarded in every age group, for each category of schools viz. Omani Government (capital region), bilingual, international, special education, Omani Government (Sohar), Omani Government (Salalah) and Omani Government (Nizwa) for poster making as well as essay writing. In addition consolation prizes will also be given. All participants will be awarded participation certificates. The result of this competition is expected to be announced during third week of May, and the award function will be held during the fourth week of May. This service initiative of SAI Group is supported with adequate press coverage by Times of Oman Group of newspapers, the creative artworks have been developed by Oxygen LLC (formerly National Publicity and Advertising Co), essay writing and poster papers supplied by Oman Printers & Stationery Co and the events are being hosted by Indian Schools at Al Ghubra, Salalah, Sohar and Nizwa and also the Training Centre, MoE Nizwa. The objective of this event is to ignite a passion in the young minds to contemplate on human values like truth, peace, love, right conduct and non-violence. This process, though subtle, has the assured effect of warding off negative influences that flood the tender minds of children today as well as transforming them into well behaved individuals. The Sathya Sai Education in Human Values (SSEHV) programme which has been the source of inspiration for this event and adopted in 165 countries around the world, focuses on character development in children by helping them to learn and practice universal human values. The efforts and research which the participants joyously undertake by going through many inspiring books, listening to the guidance of their teachers and parents and discussing with their classmates and friends, helps them to contemplate on the human values and reinforce positive thoughts in their sub-conscious minds. The Serve And Inspire (SAI) Group, who are the organisers of this event comprises a team of volunteers committed to human values in all walks of life. They have been conducting blood donation camps as a group involved in spreading awareness of blood donation and participating in the last two decades), health awareness and education campaigns for the needy. SEVEN new classrooms, a learning centre, music room and renovations have been completed at the Sathya Sai Primary School in Murwillumbah with the help of Federal Government economic stimulus funds. Nearly $1.5 million in building and renovation work was officially opened at the school on Friday by Federal MP for Richmond and Minister for Ageing Justine Elliot. The project used $850,000 from the Federal Government’s Primary Schools for the 21st Century grants and a $600,000 from the Association of Independent Schools. A spokeswoman said the school, which currently has about 100 students, is “now equipped to expand to seven single streams”. Ms Elliot met with students and staff at the school to view the new and upgraded facilities describing the new facilities as exciting for the children and parents. A week earlier she opened extensions at St Joseph’s Primary School in South Murwillumbah. “It has been fantastic to see local principals, parents and tradespeople working together to deliver these important projects,” she said. Ms Elliot said the “Building the Education Revolution” program had delivered more than $110 million to the electorate of Richmond. The Sri Sathya Sai Baba Centre of Toronto-York opened its new modern facility at Voyager Crt., in North Etobicoke, near the airport. Seekers of spirituality are invited to join the centre as it hosts its first public program on Jan. 16 from 3 to 4:30 p.m. The event will feature a presentation on the humanitarian works of Sathya Sai Baba and will demonstrate how his teachings have impacted millions around the world. A video will also be shown on the projects inspired by Sai Baba like Educational Institutes of Higher Learning, schools, specialty hospitals and the Rural Water Supply Project helping millions in the villages of Andhra Pradesh and Tamil Nadu in India. Open to all members of the community of all faiths and denominations, the 20,000-square-foot facility is open seven days week. Yoga and meditation, spiritual education and parenting classes will take place at the centre. No admission is charged. No donations will be solicited or accepted. PUTTAPARTHI: Higher education should not be pursued with an aim to amass wealth and get power. It should be done for selfless service to the society, says Sri Sathya Sai Baba. Addressing students at the 28th convocation of Sri Sathya Sai University at Sai Kulwanth Hall in Prasanthi Nilayam today, Sathya Sai Baba said the real purpose of education is served, when the needy are helped and the society gets the benefit. Love is all powerful and with it the world can be won. One should remember that education without values serves none and good conduct is far more valuable than wealth. There is no greater education or love than that of mother’s love. There is also no greater degree than love, he said. Emphasising that what one learns through education should be used for the good of society, he said the greater meaning of education is love towards fellow humans and all living beings in the universe. Education is physical and educare is spiritual knowledge. Expressing concern over the increased rat race for the worldly pursuit, he advised students to learn Sanatana Dharmas, which are truth, love and non-violence. “Love is God and it is in every living being. Inner satisfaction is far more worthy than physical satisfaction.” He advised people to reduce the use of cellphone which has become a hindrance to love and respect to people. “Instead of bringing people together, it is widening the gap among them,” he observed. In his convocation address, Samuel Sandweiss of University of California, who is also the author of ‘Saibaba: The Holyman and Psychiatrist’, ‘Spirit and Mind’ and ‘With Love Man is God’, elaborated on the purpose and value of education in the context of spiritual needs of human beings. He said education is the very process which lays the foundation for Dharma (Righteousness) by removing ignorance and letting the self inner shine. Citing examples of the earliest universities Oxford, Salamanca and Soroban in Europe and Nalanda and Taxila in ancient India, he said these institutions had deep religious and presumably spiritual foundations. He lauded the growth achieved by Sri Sathya Sai University and its endeavour for social welfare. Varsity Vice-Chancellor Vishwanath Pandit presented a report. In all, 21 students received gold medals from the hands of Sri Sathya Saibaba. District Collector P Janardhan Reddy, SP MK Singh, Puttaparthi MLA P Raghunath Reddy and others were present. THE FORMAL EDUCATION SYSTEM developed over the last two hundred years in the West and now universally adopted is flawed. It fails to meet the real needs of the children, the family, the community or the nation. It was developed in the industrial age and its main objective was to secure economic well-being of nations. It promotes inequality and competition and divides the world into rich and poor nations. Such an education with its emphasis on technical and academic achievements does not promote holistic development of the child. Crime, drug addiction, depression, anxiety, family tensions, violence, delinquency and suicides are on the increase in all the countries of the world. The natural resources are being freely exploited and the planet is reaching non- sustainability. Educationists agree that most of these problems could be solved if we reform education to meet its two goals – development of character and academic excellence. But they have not been successful in reforming education to attain both these goals. Sathya Sai educational institutions are based on the philosophy of education propounded by Bhagavan Sri Sathya Sai Baba. He gives equal importance to educational achievements and spirituality. He emphasises that education must give technical knowledge as well as skills to lead a balanced life. The children must develop insight and understanding into their own life’s purpose. They must develop a lively social conscience and serve society, and develop a strong identity with their family and culture, nation and humanity. Sathya Sai Schools are based on these central features of Bhagavan’s philosophy. They aim at human excellence through developing all personality domains – physical, intellectual, emotional, social and spiritual, and not just the intellectual. These schools do not charge any fees. They follow the mainstream government curriculum. In these schools, the culture is suffused with human values of peace, love, truth, right conduct and non-violence. There are now dozens of Sathya Sai Schools in overseas countries. Many of these schools were started in the 90’s, and more and more are being established all the time. They are models of how human values can be integrated with the school curriculum to achieve the real aims of education – character development and academic excellence. Institutes of Sathya Sai Education were established to manage and oversee standards in the Sathya Sai Schools, to train teachers in Education in Human Values (EHV) and to form professional links (or partnerships) with government or private schools for EHV. They have the task of developing EHV programmes appropriate to their local culture, to create awareness and guide government schools to establish such programmes. The question arises as to what extent the Sathya Sai Schools and Institutes have succeeded in their avowed aims and objectives. What is the impact of Sathya Sai Education? There is a global trend towards a materialistic culture based on technology and commerce. In this culture, television, rapid communication, mobile phones, internet, computers and CD players are important elements. Children’s main entertainment is from watching TV, and a significant part of their time is spent with the computer, isolated from others. A lot of values, language and role models are based on what they watch on the TV. The programmes often glorify violence and are sensual. Children are, in general, more lonely now because the size of the family is smaller (with fewer children), and neighbourhood where the children can play with others is less safe. Moreover, both the parents work away from home and the time spent with the family has decreased. As a result of all these trends, children now have less well-developed social and emotional skills. Their language is not anchored in values and their morality is weak. Many children have problems with concentration because they have become passive from watching too much television. The violence that they see on the television makes them fearful and indifferent to pain and suffering. In fact, they see war and violence as a part of everyday life from watching world events. Sathya Sai Schools counteract these by giving children capacity of focus through silent sitting. Their discrimination is nurtured as also their problem-solving skills. Many techniques used in Sathya Sai Education give children good social and emotional skills and enhance their understanding of morality. Transformation of children is the main purpose of these schools. People observe that when children from many schools are gathered together, those from Sathya Sai Schools are identifiably different. They are more disciplined, gentle, kind, friendly, and in general have better social skills. Parents are the first to notice their children’s transformation. Their children become more respectful, assume greater responsibilities, go to bed and rise early, do not watch as much television, are more attentive and focused, more interested in their studies, and more diligent with the tasks assigned to them. Several parents have commented that their children have become aware of wastage and are conscious of the need to recycle toys, clothes, paper and water. They say their prayers before eating and show respect for food. 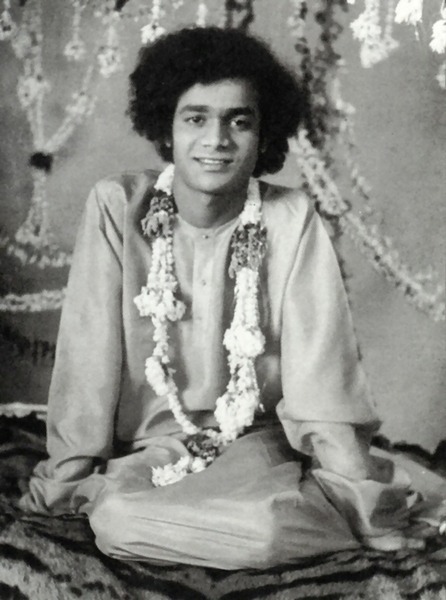 In a number of Sathya Sai Schools – Australia, Thailand, Africa, Latin American countries, Taiwan, parents have expressed delight to notice how their children are fresh and content when they come home from the school and believe that silent sitting, daily prayers, and vegetarianism promoted by the schools contribute to this. Some parents remark on the peace and harmony in the classrooms and have observed that the school atmosphere is conducive to learning; the teachers are dedicated, caring and good role models. Many parents move from other areas specifically to be close to a Sathya Sai School in order to enrol their children. Experienced teachers who come to Sathya Sai Schools from government schools have noted that the children are eager to learn. They are loving, more friendly, caring and helpful to others. In the Australian Sathya Sai School, children were friendly even to a violent child, regarding him with affection. They are keen to look after the school, attending to cleanliness and tidiness and their honesty is obvious. In the Australian School when a newly enrolled child could not find his pencil, he said, “Someone has stolen my pencil”. The other children looked with amazement at him and one replied, “But no one steals in this school”. They take care not to damage books and computers. They are respectful towards the teacher. They trust the teachers more and are open in their communication, regarding the teacher as part of the family. Similar results have also been seen in the government schools which have had EHV programmes introduced by the Sathya Sai Institutes. The Australian experience is a good example. In Australia, indigenous (Aboriginal) education has been a challenge to the government. Pouring in more and more money and creating better educational facilities did not provide a solution to the poor achievement levels, high dropout rates, and high educational failure in this community. In one such school, a teacher noted that the attendance was poor, often only 5 or 6 children in a class of 30, and the children in the afternoon were not the same as the ones in the morning. There was hardly any discipline – the playground was a place of fights. The school had litter all over and the windows were broken. The children had poor social skills, and educationally the school was a failure. A new principal appointed in the school invited the Australian Sathya Sai Institute to establish a partnership in EHV in this school. The teachers were enthusiastic about the Children programme and implemented it diligently. The results are nothing short of miraculous. Two years later, research by one of the teachers at the school for a thesis tracked the progress of the children and the school culture. He found that the school was a clean and tidy campus. The children were focused and interested in their studies. They had developed good social skills and were now able to resolve their own differences; schools fights were rare. To solve their differences they either negotiated with each other peacefully or took their problem to a teacher rather than resort to fights. Academic levels are now at par with other comparable schools. Education Queensland (the Government Department of Education) has located a research unit in this school. The school principal was “The Queenslander of the Year” and the teacher who had acted as the human values education coordinator in this school, recognised for her work, was chosen as one of the seven teachers in the State to receive “Teacher of the Year” award. This school is now regarded as a model for Aboriginal education. Another success story is the Sathya Sai U-Turn Training School in Australia. This school runs programmes for adolescents, boys and girls in grades 7, 8 and 9 who are identified as ‘at risk’ of educational failure by their own Government High School. The High School refers ‘at risk’ adolescents to the Sathya Sai U-Turn Training School. Here they are exposed to human values through a programme based on the teaching of Bhagavan through the word “WATCH”: watch your words, actions, thoughts, character and heart. The programme gives these adolescents social, emotional and moral skills, while the adolescents are engaged in blacksmithing, woodwork, leatherwork, sewing, painting and knitting. They work closely with the teachers. This builds their self- confidence and trust and they are transformed. To date almost all of the 43 ‘at risk’ adolescents who have attended the Sathya Sai U-Turn Training School in Australia have improved their educational performance. The local High School, the local Museum and the Municipal Council are now partners in this programme. Both the parents and the teachers recognise the U-Turn Training School as an institution to reclaim ‘at risk’ adolescents. Schools in Zambia, Thailand, Kenya, Nigeria, Malaysia and several Latin American countries have had similar experiences with EHV for adolescents ‘at risk’. There seems little doubt that EHV is an excellent method for reclaiming adolescents who are heading towards educational failure. Because of the benefits both to normal and educationally challenged children, it is not surprising that EHV is being introduced or being contemplated for introduction into mainstream education in a number of countries. For example, in Kazakhstan, an Islamic country, EHV is being introduced widely into the government schools. In fact, it seems wherever there are favourable circumstances — open and receptive society, belief in God, general awareness of the need for values in education, generous donors (for Sai Schools) and good leadership in the Sai Organisation and Institutes — EHV is taking root and is being accepted by the government schools. Latin America is a good example. 40% of all Sathya Sai Schools are within Latin American countries. Eleven Sathya Sai Institutes are active in training teachers from government schools. In Chihuahua, with a population 1,25,000, EHV programme is being run in 35 schools. The Ministry of Education has set up its own Human Values Committee and is running its own courses in ethics and values. However, surveys by the local Sathya Sai Institute show that the teachers prefer the courses of the Institute as these are transformational. In Thailand, the government regards the Sathya Sai School as a model of education for wide adoption. Following a seminar on Human Values in Education and Family in 2003 in Malaysia, almost 60 schools expressed interest in EHV programmes in their schools. In China, the government acknowledges the need for education reform to include an emphasis on values. Apparently, the widespread single child family there is producing a generation of self-centred children with poor social skills. These effects are being compounded by the rapid economic progress, which is heightening materialistic trends in that society. A Professor of Education in Guanzao is working on a phased introduction of EHV programmes into the public school system – 6 schools at a time. He has had good results and is enthusiastic about the future of EHV in China. In Sri Lanka, the Sathya Sai Organisation and the Institute held a seminar with the educators from the local universities and officials from the Ministry of Education in 2004. The Institute regards EHV as the programme that would spearhead education reform in the country. Parents become aware of Human Values through the newsletters and the parent link material that requests them to support their child by practising values at home. The community service that the children undertake through the school also influences the parents as also do the courses in human values for the parents that many Sathya Sai Schools run. In many Sathya Sai Schools, the children stage an annual event, a human values school play or a musical that the parents are invited to attend. In the Sathya Sai School in Australia, parents are actively involved in service to the school. Some take classes in art, yoga and music. The impact of all these activities is enormous. The parents become aware of their role in the values education of their child. Their relationships in the family improve and are spiritualised. In some cases, the children become values activists in the family, many times correcting even their parents. Sathya Sai Schools are acting as the nuclei for creating better understanding in communities divided by ethnic, political and religious differences. In Fiji, the division between the Pacific Islanders and the Fijians of Indian descent has been deep for generations resulting in serious political turmoil including an attempted coup. The Sathya Sai School in Fiji is located near a local village; 40% of the children at the school are of Islander descent and the rest are of Indian origin. The children learn both Hindi and Fijian and the parents from both ethnic groups have reached levels of understanding never seen before. The Prime Minister observed in the Parliament that if politicians could follow the example of the children and parents in the Sathya Sai School, then all their problems would be solved! In the Kesaju Sathya Sai School in Kenya, the local Imams, suspicious of the “free education” objected to their children praying with children from other religions. The Imams were invited to hold prayers in the school. Now the Muslims are accepting prayers of other religions. This has been deeply unifying for the community. Similar experiences are reported from some of the Latin American countries where Catholic nuns have run EHV in Catholic Schools. They have been able to convince Mother Superior and the Bishops that they do not see conflict between Bhagavan’s and Christ’s teachings. Sathya Sai Schools in some instances have become useful resources for the local communities. Kesaju Sathya Sai School is located in a semi-desert area with poor water supply, and in conditions of drought the community used to lose some of its cattle due to lack of water. Bhagavan gave instructions where a borehole should be dug for water. The result is abundant sweet water for the school to grow its own food, and enough to establish a farm. The school has built a trough so that the cattle can have water even in drought. Imagine the gratitude of the local community. The African Institute in Zambia has developed a partnership with other agencies to bring water both to the school and to the local community in Ndola. Almost all the Sathya Sal Institutes around the world are involved in training the local teachers in Human Values Education. The teachers who go through such programmes of the Institute realise that human values cannot be taught, but only demonstrated by the teachers by their own example. They have to practise the values and transform themselves, their schools and their communities. Sathya Sai Schools and Institutes have not been long established. They are already having significant positive impact on their communities, governments and education systems. It seems highly likely that their impact will go on increasing and in another decade or so they will transform education and herald a new era in which human values will permeate all institutions and all human enterprises. Shimla: Smt. Prabha Rau, Governor Himachal Pradesh stressed upon the need for value based education in schools for overall development of the students. She was presiding over the ‘Eswaramma Day’ celebration at Sri Sathya Sai Educational Center, Anand Vilas, Pujarli near Shimla today. Smt. Rau said that education without value of sanskaras has no meaning and added that parents and teachers should educate children in right perspective so that they could become quality citizens of India. Governor lauded the Sri Sathya Sai Seva Organization for providing education with emphasis on moral and ethical values, development of mental and physical faculties, nurturing character building and all around development of children. The Governor said that the children are needed to give environmental education so as to prepare them for facing changing environmental scenario. She stressed upon incorporating environment studies in school curricula’s and said that she is happy to learn that Sri Sathya Sai Sewa organization are providing acquacare facilities to people in different parts of the country and has actively participated and aided people during natural calamities. Smt. Rau facilitated the parents who selected this school for education of their children and congratulated the students for performing fascinating cultural programme depicting aims and objectives of the school. The knowledge empowerment played a great role in nation building and students could contribute significantly in nation building activities, she added. On the occasion the Governor also gave away prizes to the students of the school. Earlier, Governor inaugurated the function by lighting a lamp. Krishan Singh, Principal, Sri Satya Sai Seva School, Pujarli presented the report. Dr. Neeta Khanna, National Deputy Education Coordinator, Sri Sathya Sai Sewa Organization welcomed the Governor. A Sarva Dharam Bhajan and colourful cultural programme was also organized on the occasion by the school children. PANCHKULA: Teachers from various schools of Panchkula and Chandigarh on Sunday drew a roadmap for Education in Human Values at a master trainer’s awareness workshop organized by Sri Sathya Sai Baba Seva Organisation at Hans Raj Public School here. A large number of teachers, who attended the workshop for master trainers, volunteered to guide others thus in helping sensitize the teaching community to inculcate human values amongst students. While drawing a roadmap for education in human values, it was decided that these senior teachers who would function as master trainers would assemble in a school once a month to learn how to train other teachers in human values to make this a movement to instil values among the students. Narrating from their experiences, the teachers assembled here blamed the western influence, excessive time spent before the television sets for the growing cult of violence, intolerance and disrespect for elders amongst the children. In his inaugural address, HUDA administrator AK Yadav said that a teacher was cut for a far bigger role in society as he was a role model not only for the students but for society as a whole. He said that teachers had to be first ‘‘acharyas’’ meaning thereby that they had to first practice values, live by them before asking their students to follow. They had to be embodiments of virtues before trying to instil these in their students. Prominent among those who interacted with the master trainers included, BB Gupta, principal, DC Model School, who spoke on ‘role play’. Gupta felt that the education system should be such that it prepares us to handle given situations dexterously. Sangeeta Bhatnagar played a number of ‘value games’ to show how students could be taught human values during play. Prof RP Kapoor from Kurukshetra University said human values could be taught even while teaching subjects like physics, chemistry or mathematics.